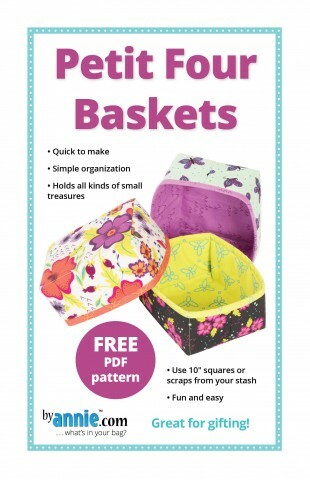 Try this free PDF project. 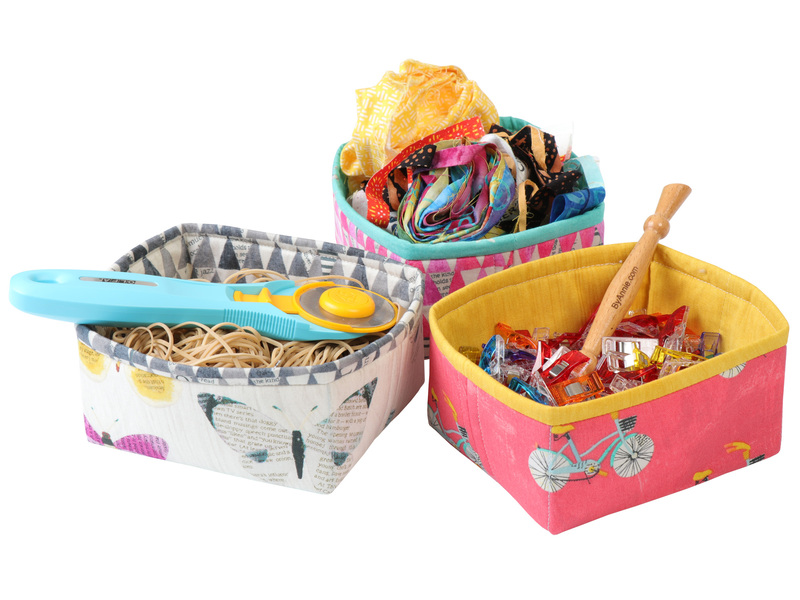 Use one 10” x 11" rectangle of Soft and Stable and two 10" x 10" fabrics (or scraps from your stash) to make each charming little 2½”H x 5”W x 4”D basket. 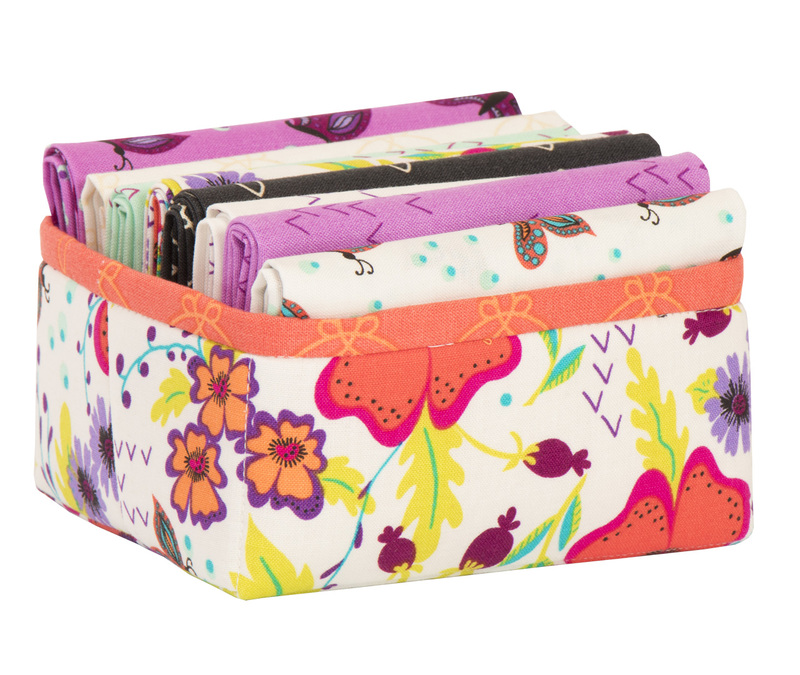 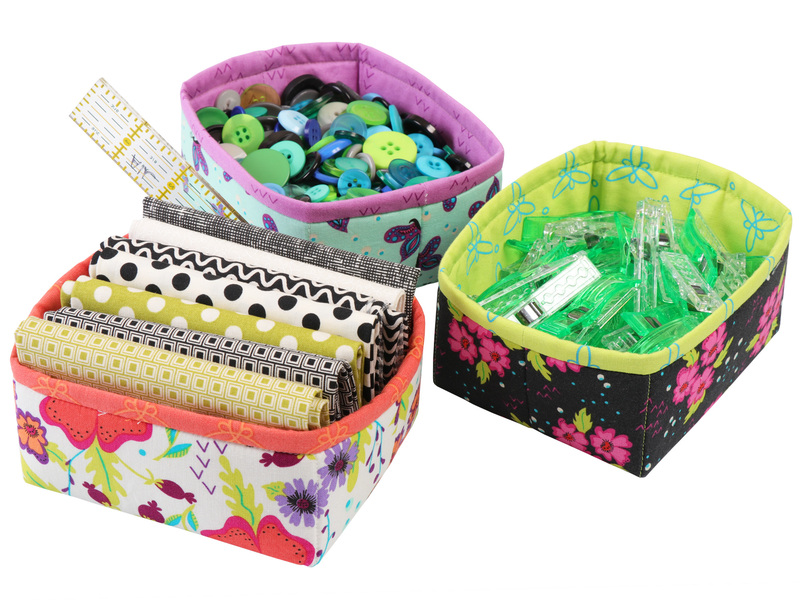 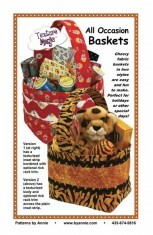 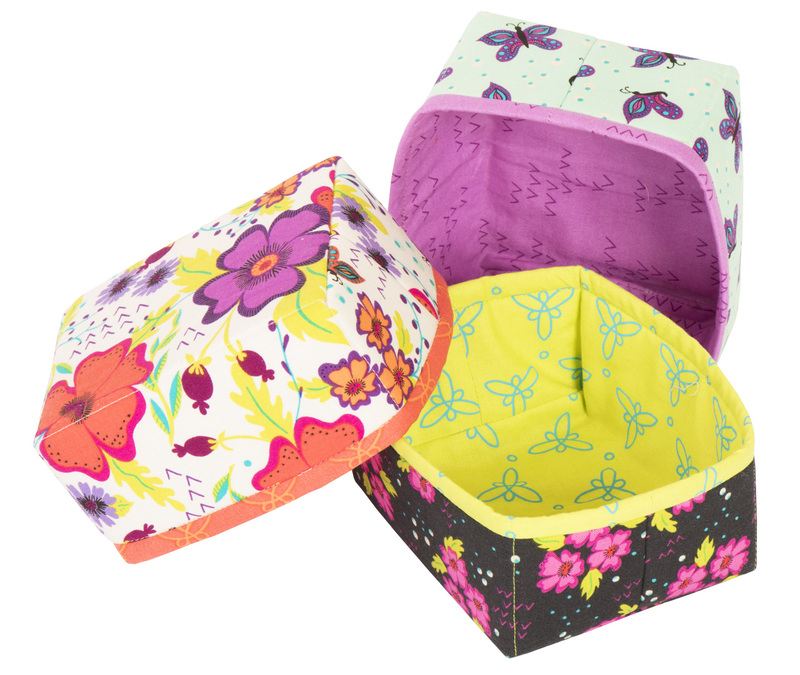 Quick to make and perfect for gifts, the baskets will hold all kinds of small treasures. 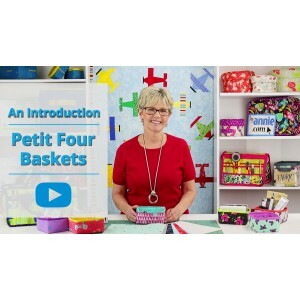 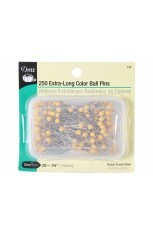 Be sure to get the free Petit Four Baskets Add-on Video as well. 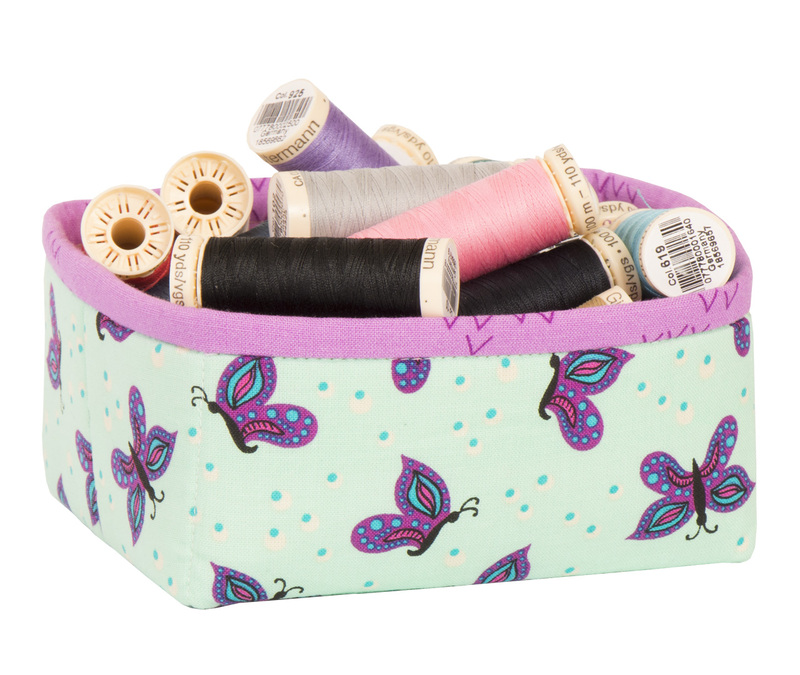 You'll love learning our best tips and tricks as we walk you through the pattern online. 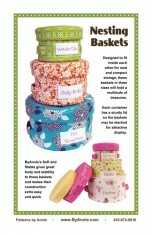 And, if you enjoy the process, be sure to check out our Contain Yourself pattern. 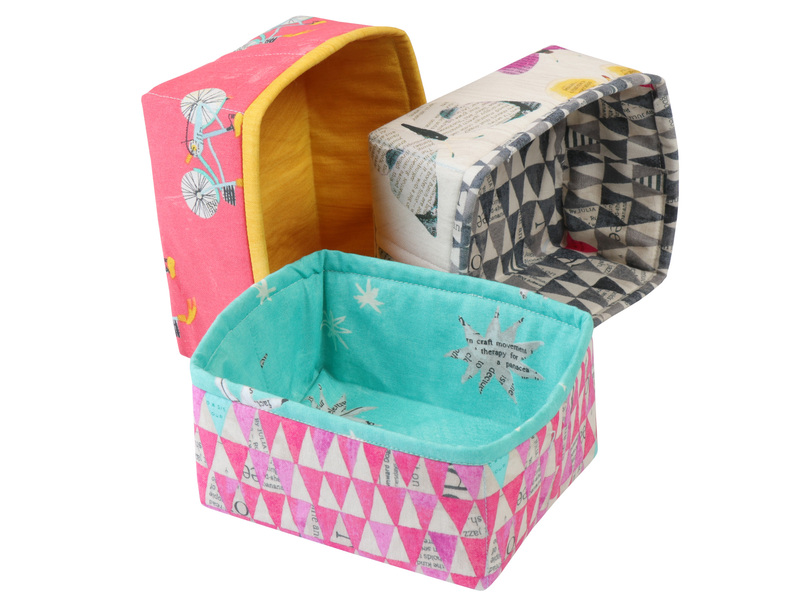 It includes instructions for three more bins in sizes up to 11-1/4"H x 11½"W x 11½"D PLUS instructions to design your own custom containers in any size. 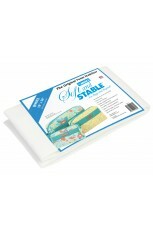 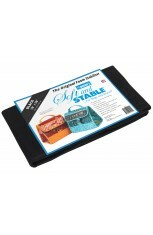 Don't have Soft and Stable on hand? 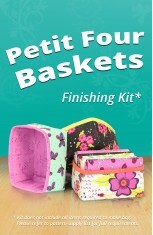 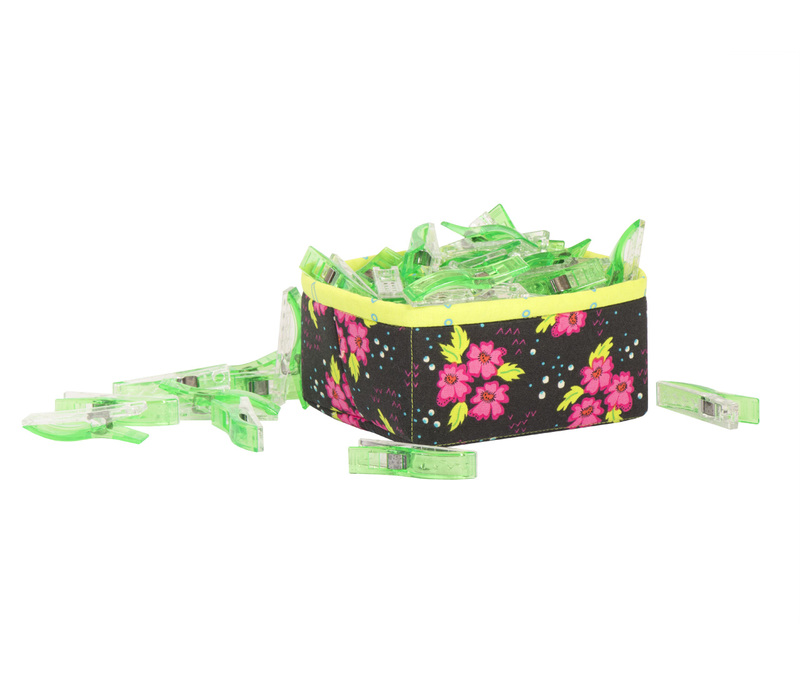 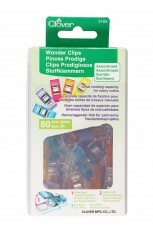 Try our Finishing Kit (includes printed pattern). 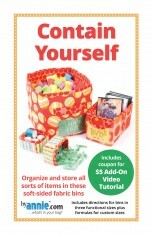 Making this with a group? 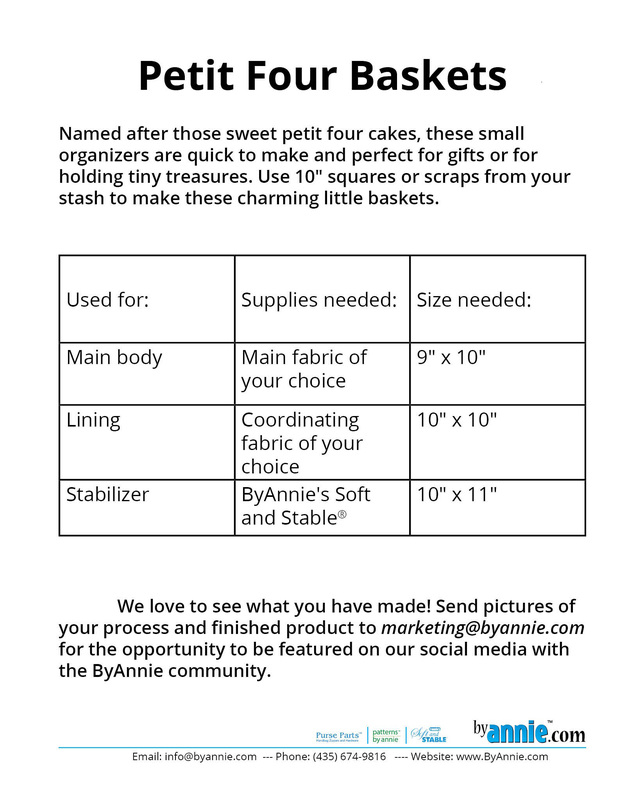 Buy our printed version in a Set of 25. Note: This pattern may be used for FREE educational purposes only and may not be copied or reproduced for other purposes. 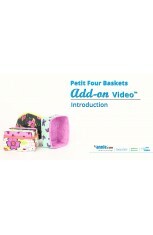 This Add-on Video™ is provided at no charge. 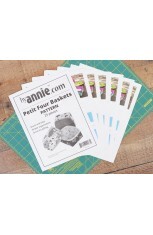 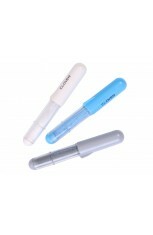 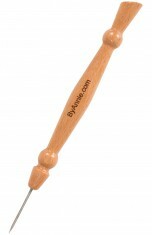 In order to get it you will need to establish an account with ByAnnie.com and order it through the check-out process.